Beautiful Incentives: Vitacost Review! Food, Vitamins and Beauty. Vitacost Review! Food, Vitamins and Beauty. Up until almost 2 years ago I was always complaining about how healthy products were so overpriced. That I couldn't spend another cent on specialty foods without making it myself from scratch all the time. The vitamins I wanted had such high price tags, I just never bought them. I also found it extremely hard to find anything I wanted in my local vitamin shops. Enter Vitacost, my virtual healthy shopping knight in shining armor. This is not exaggeration for profit. This is my own truthiness. Look it up, it's a word. Vitacost has almost everything I've ever looked for and couldn't find locally or online, for a decent price. This place offers every health food you could ever need, but so much more. From personal things, kitchen things to vitamins and gluten free flours. It has any health product you can probably think of. I have been an avid shopper at their store for over a year now. There are so many staples, such as Stevia, raw honey, coconut oil and other oils that I always go back for, because they have the lowest prices I have seen anywhere. I have looked far and wide too, believe me. I will show you receipts if you think this is hogwash. Not only do they have low prices, but they give you more incentive with $10 off your first purchase of $30 or more, just for shopping with them! For every friend you invite that makes a purchase with that coupon, you yourself get $10 in return. It's a wonderful program and I haven't heard any complaints from those I have referred. One last thing to gush about, the shipping is cheap and they are FAST and they package everything very well. They basically package things expecting something to go wrong, so the bottle tops always come taped and everything is in bubble wrap. This is unlike any company I have ordered from. Not many put that much care into packaging. Don't believe me though, please see for yourself. I'm excited to say that I was provided with a box full of goodies to review for this company. I was thoroughly pleased with what came. 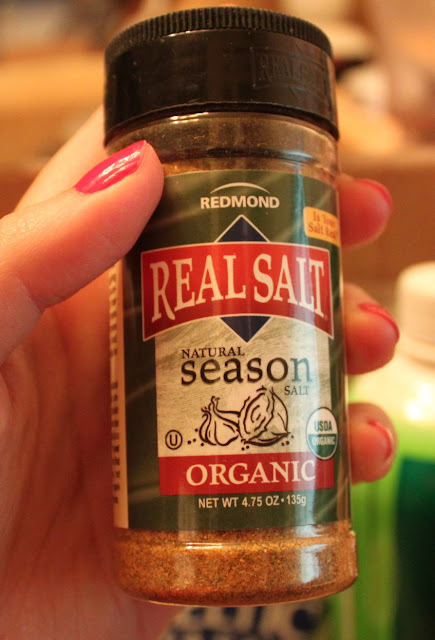 Sea salt is something I already buy, but this is the raw kind with extra minerals so I was happy to try this out. 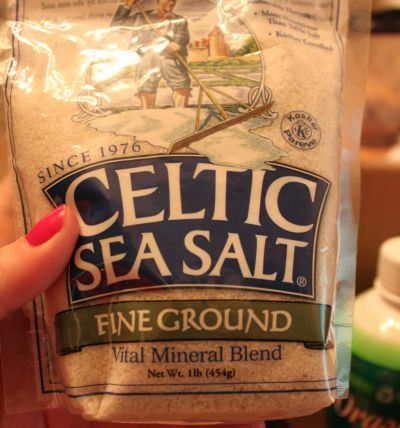 Celtic Sea Salt salt has a thicker texture than regular salt, and it's truly very strong and salty. Much stronger than table salt. If you have ever gotten salt in your mouth from the ocean, that is exactly what this tastes like. It is fine ground and dried by the sun, free of pesticides, bleaching, herbicides and harmful chemicals. It's also Kosher. It is recommended by doctors and chefs. This is my favorite product out of the bunch that I have been meaning to try. My system is sensitive and the best way for me to get my vitamins is through liquids and it's an all natural plant base, which never aggravates my stomach. This is the perfect way to do that. I add 2 Tbspn's to my ViSalus shakes daily. Such a convenient way to get your sufficient intake! A pure all natural salt with a "zest" to it. Great for spicing up a bland meat or giving flavor to veggies! I've never tried Vanilla flavored honey or any flavored honey for that matter. It tastes great in my morning tea. The vanilla is not so pronounced, but enough that you can notice it. I love that, as I don't need extra flavoring! These I have to admit were a bit lacking. It may be due to the soy flour used, but i'm not sure. It just didn't agree with my taste buds. The cinnamon flavoring was fine. I'm sure it would appeal to others though. It is a good source to help get your daily protein, lots of soy, lots of fiber, no trans fats and based on a low glycemic index, so it's extremely healthy as a snack. These two were SO good and my second favorite of the bunch. 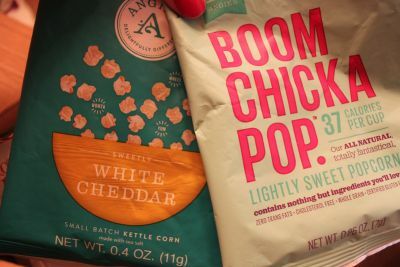 Angie's Boom Chicka Pop & Delightfully Different are very light calorie popcorns, in the flavors of White cheddar and lightly sweet. 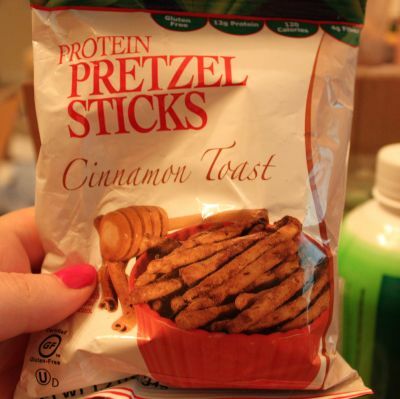 They contain no trans fats, cholesterol free, whole grain , gluten free, free of artificial ingredients of any kind. The ingredient list is literally 5 words long. They are also fair trade ingredients, which I love. These were so tasty and I really wanted more when I was done. It made the perfect healthy midday snack. when I was craving something sweet and crunchy! The last product I found very interesting. 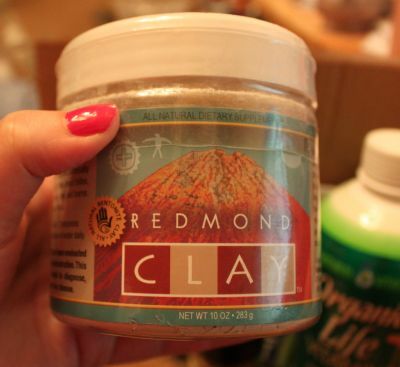 Clay that you ingest as well as use topically. I have overheard clay being used internally, but never really looked into it much. Redmond clay is basically ash in the ocean that is left behind after the volcanoes erupted long ago, before our earth faced pollutants. This ash in the ocean evaporated and left behind a mineral called rich bentonite clay. The people in a small town called Redmond, Utah extract the ancient mineral deep within the earth, and provide it to us in it's pure natural state. It is said to be very healthy for the human system. Why is it so healthy? 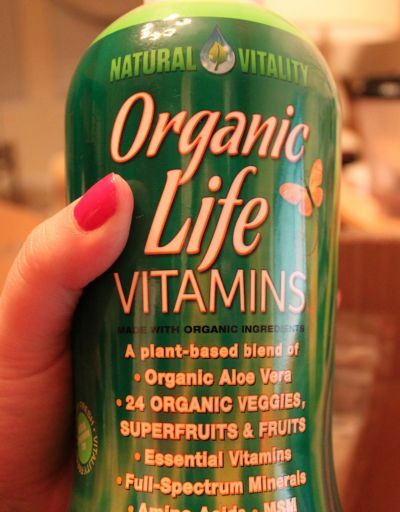 It contains a whopping 50 natural trace minerals essential to our health. This clay is said to be carried around by primitive people who dissolved it n their water, and ingested with their meals. It fought many stomach ailments and even food infections, so I am very curious...Feeling a bit weird about swallowing clay, but I am more apt to trying it out now that it's in hand. I'll have to report back when I do. I have a sensitive system and that makes me hesitant but i've been known to be gastroadventurous. 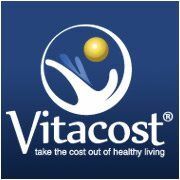 I am impressed with Vitacost and have never been swayed to another vitamin store, unless they are out of or don't carry what I need, which is seldom for me. I love their $10 incentive for getting friends to join and I love when my friends rave to me for showing them this site. I received these products ridiculously fast and enjoyed 99% of them. The pretzels just didn't do it for me, but I have definitely found a couple new things I am going to add to my staple list. There's nothing more that I love than being able to say great things about a company I adore. I hope I get to review for them again to show you just how great the variety is that they offer! You can keep up with promotions and lots of info on their Facebook Twitter Pinterest and Google+ They show coupons and deals on the daily that you don't want to miss! And NOW , 1 lucky winner will get a $50 Gift Card, as part of my "I Love Me" pampering products event! I have to say that Vitacost sounds really great! I'll definitely check them out to see what they have to offer! Wow, I love all natural things! I hadn't heard of Vitacost before. Thank you for the review on the variety of different products. I will check it out more. Have to say I also love Vitacost! They are the only place I've been able to find a comparable probiotic to the one I was originally using, and at an awesome price. 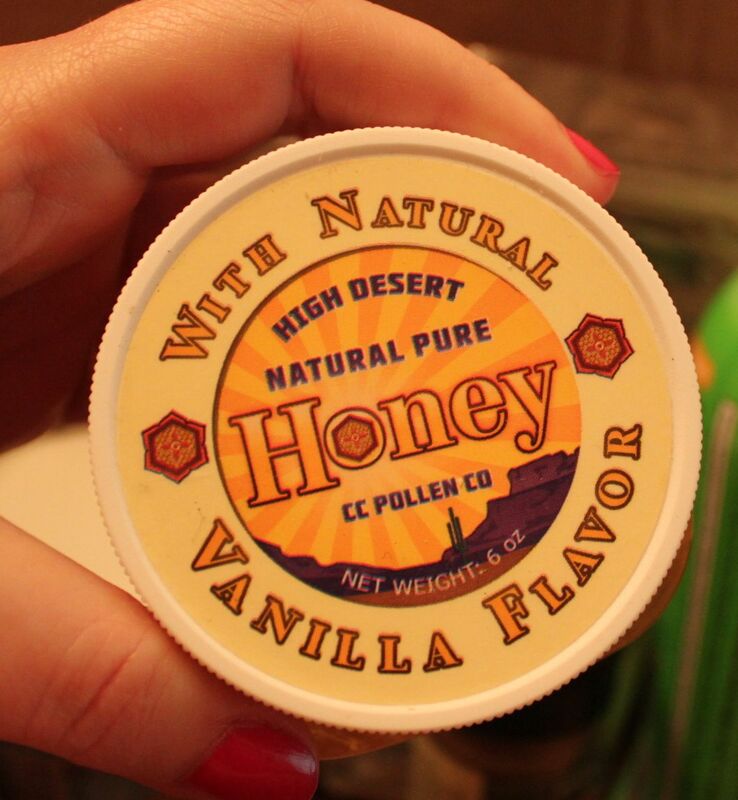 Out of the products you've reviewed here I like the sound of that vanilla flavored honey the most. Never heard of such a thing before! Definitely, I just discovered a probiotic that I actually just bought, instead of my usual culturelle b/c I just can't foot the expense at $20, with your seldom 2-3 off deal. This one is $10 and the consumer reviews show that it's just as good, plus it's vegetable based. I really hope it stands up to the test for me. Just found it. It's called Florell, in case anyone is interested. Been a fan of vitacost for awhile, especially since going gluten and dairy free...and their prices are second to none on a wide variety of things, not to mention fast shipping...can't go wrong with them. I also have found that VitaCost has always been the best priced store, I have found. I do love them!